In February 2013, it was reported that Nielsen would soon introduce a system for measuring long-form video views on OTT TV devices. The industry, long in search of a universally accepted method to measure digital viewing, breathed a sigh of relief and sat back to wait for Nielsen to announce the new product’s launch date. It’s now April 2015, and we’re still waiting. This delay has led to a serious case of arrested development for TV Everywhere, as well as the advertising that runs on it. This is unfortunate as consumer demand for the sort of quantum viewing experience that TV Everywhere offers has never been greater, and the industry seems to be missing a key opportunity to meet consumer demands. So why is the lack of a standardized ratings system holding back the growth of TV Everywhere? What are the networks and the MVPDs afraid of? Since TV Everywhere is designed to be an ad-supported platform, all parties involved (advertisers, networks, and MVPDs) need to agree upon a standard measurement system in order for that system to succeed. Without it, MVPDs are hesitant to double down on their TVE apps, and networks think twice about making their programming available to the service. No one comes away satisfied, least of all the consumer. Why would an MVPD be hesitant to put a big push behind its own TVE app, especially given the appeal of these apps to increasingly fickle viewers? It all comes down to carriage and retrans fee negotiations. Let’s say you are Cox and you’re in negotiations with ABC. According to the ratings system you use (some combination of Rentrak, Kantar, and comScore), Comedy Central has two million viewers on your TVE app, and you are prepared to pay them a carriage fee based on those two million viewers. Not so fast, says Comedy Central. Our ratings system (a different combination of Rentrak, Kantar, and comScore) says we counted three million viewers on your TVE app, so we think you should be paying us more –- at which point the battle commences and it’s anyone’s guess as to who will come out on top. For the networks, the logic works in the opposite direction: they’re okay with launching standalone OTT apps separate from the operators, because the only people questioning their OTT ratings are the ad agencies. They have already started to implement their own OTT measurement systems, systems with which the networks are only too happy to comply. That leaves operator TVE apps as the problem child…. It is our position that had Nielsen not kept the industry on hold for the past two and a half years, this problem would have been solved long ago. 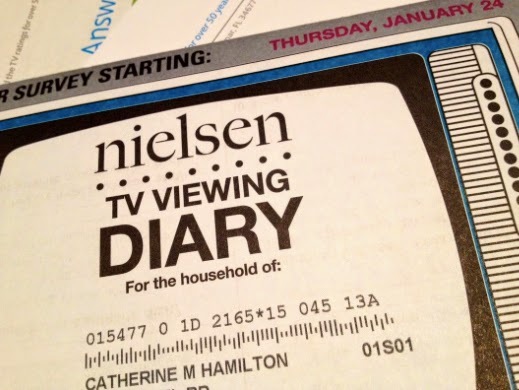 If the marketplace knew Nielsen would not be able to deliver, some other company (or combination of companies) would have come up with a legitimate alternative that the entire industry would now be using. Instead, we’ve had over two years of downtime waiting for a product that has yet to see the light of day. Consequently, an industry that should have been taking giant steps forward has been reduced to taking baby steps. In the interim, the current situation has reduced OTT TV advertising to a purgatory of sorts, where it sits waiting for a universally-accepted measurement system. That’s the starting point of my new report on the future of OTT TV advertising, which offers a deep dive into the current milieu before making some surprising projections about a number of relevant trends, from the fate of programmatic advertising in an OTT TV environment, to the shift from buying ‘eyeballs’ to buying audiences. Originally published at tdgresearch.com on April 2, 2015.